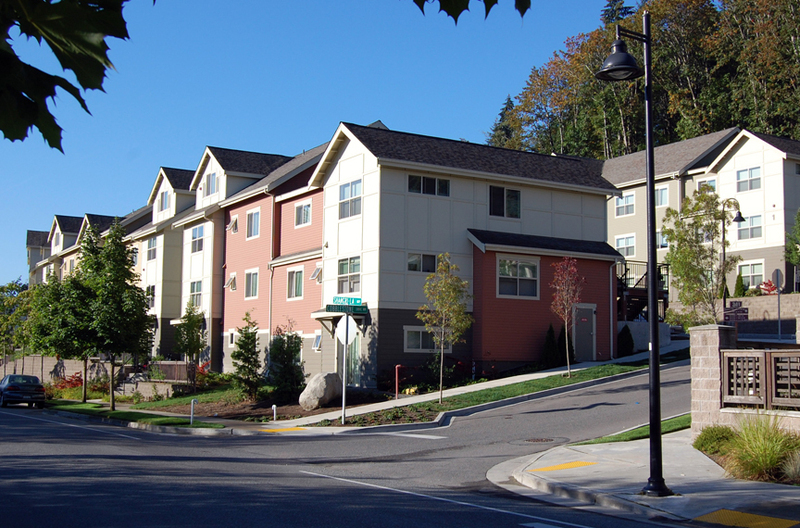 An Imagine Housing initiative, Rose Crest Apartments knits affordable, multi-family housing into the planned Talus community in Issaquah. 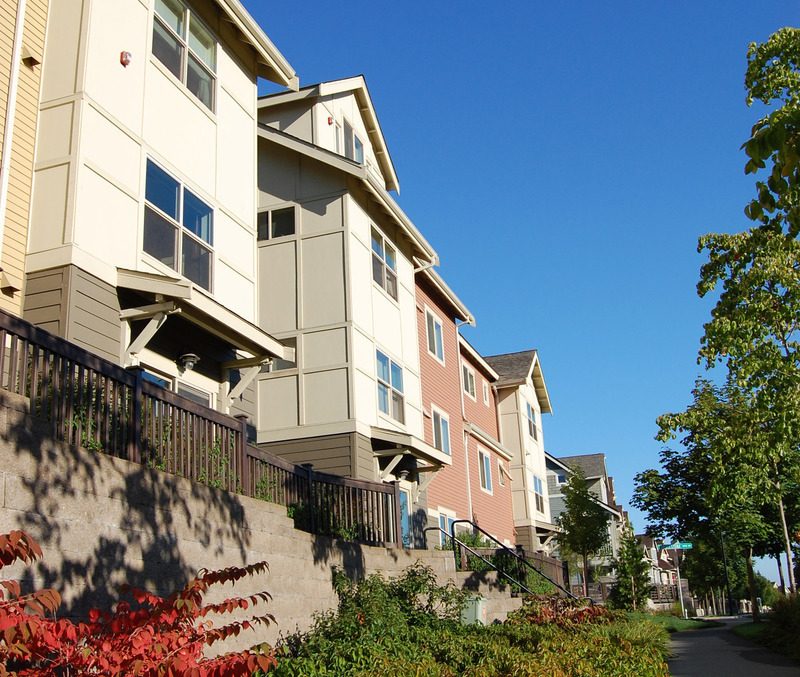 The residential materiality and cool colors of the 3- and 4-story façades blend into their surrounding market-rate development. 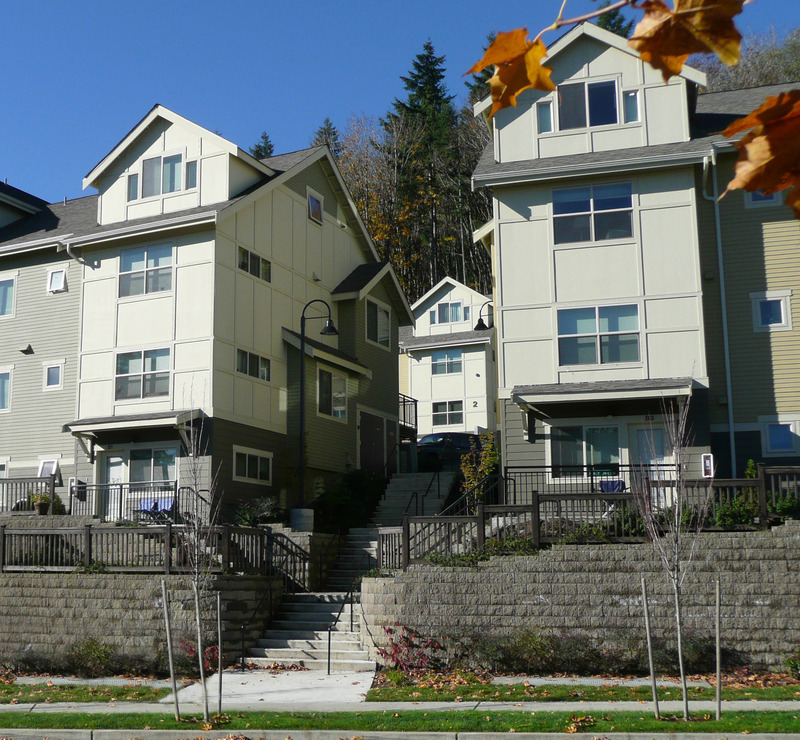 The steep site, on the hillside of Cougar Mountain, required intensive preparation and retaining systems. 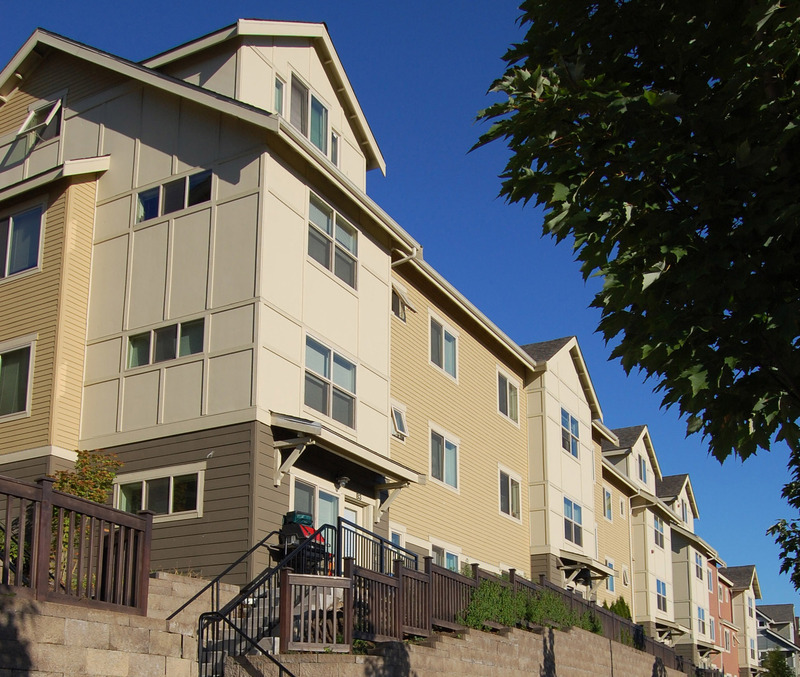 Rose Crest consists of 51 stacked units divided into 5 buildings, many with mountain views. 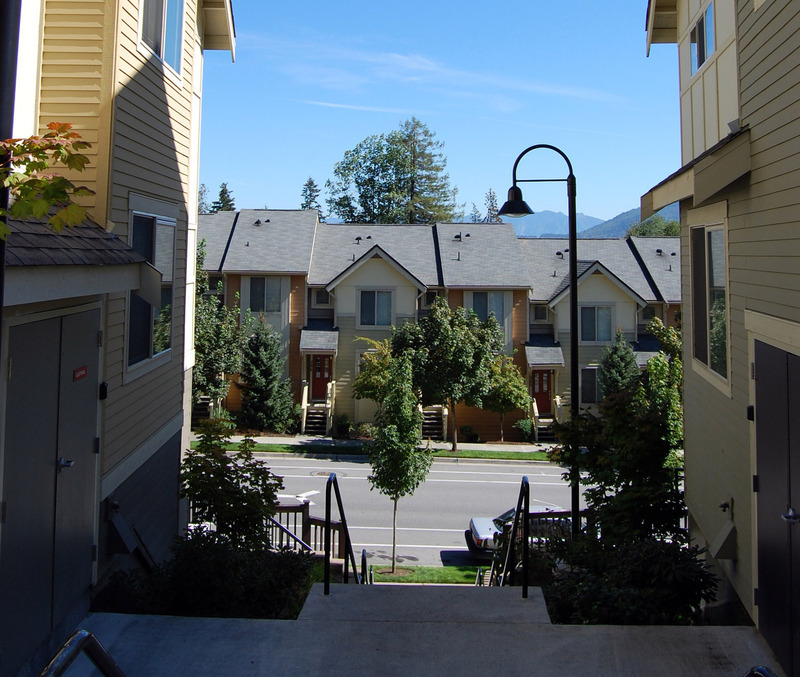 In keeping with the principles of New Urbanism, the buildings are designed around a series of interior drives, providing each unit with its own front door entry and porch.